Eileen Caddy was a new age author, co-founder of the Findhorn Foundation community and spiritual teacher. Born in Egypt to an Irish father and English mother, Eileen completed her initial education in Ireland under the supervision of he aunt. Eileen would often return to Egypt for her holidays. Some of the books authored by Eileen included The Spirit of Findhorn, God Spoke to Me, Bringing More Love Into Your Life, Waves of Spirit, Footprint on the Path and several others. 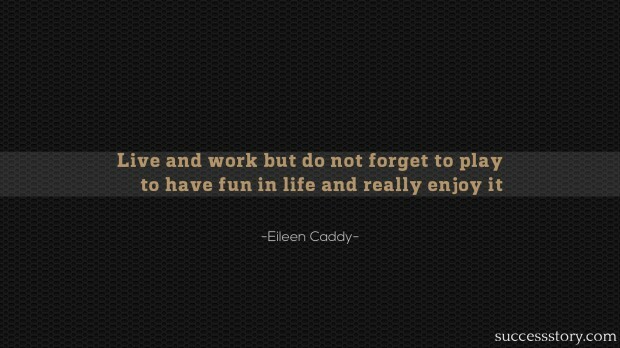 Eileen was also particularly famous for her spiritual and motivational quotes.